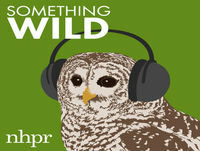 Descripción de Something Wild: Where Have All the Birds Gone? As we hunker down for the winter weather, we’re frequently too preoccupied with what is in our front yards that we tend not to notice what isn’t there. The snow and ice have muscled out the grass, and the chilly sounds of the north wind have blown away the dawn chorus that woke us this summer. And short of finding a postcard in your mailbox from a warm exotic location, signed by your friendly neighborhood phoebe , you probably haven’t thought much about the birds that flitted through your yard just months ago.